HOME /Blog /Best Valentine’s Day gifts! Valentine’s Day is around the corner and many of us are busy searching for special gifts for loved ones. And while some of us prefer the traditional gifts, a number of people strive to find that special one of a kind present that will make an unforgettable impression. UGears company has a few unique and originals Valentine’s Day gift ideas for you! Here is some of them. The best way to give a gift of jewelry. Traditionally, jewelry is one of the most popular Valentine’s Day gifts. UGears offers you to steer away from an ordinary approach of presenting jewelry in a plain (or even fancy) jewelry box. Introducing UGears Mechanical Flower, a unique and original way to gift jewelry that makes a statement! 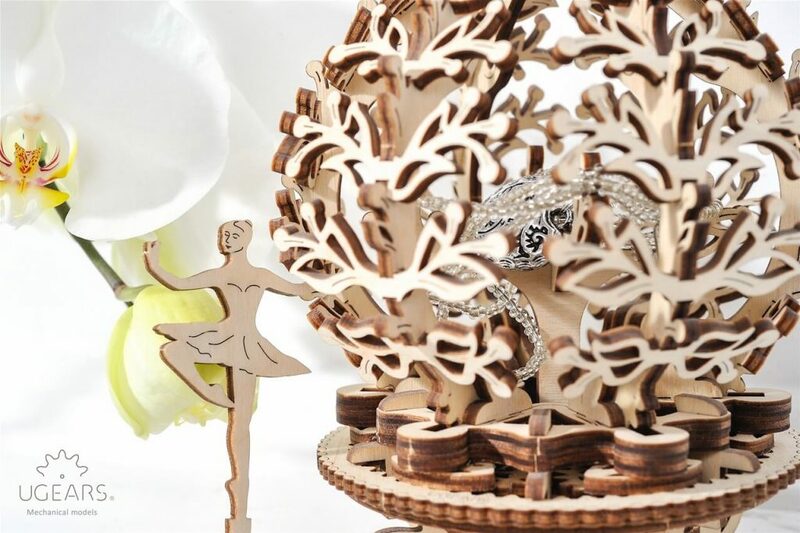 When assembled, this 101-pieces wooden mechanical 3-d puzzle becomes a beautiful flower with opening petals. With a turn of a flower base, the flower’s petals open revealing a hidden ring, pair of earrings or a locket that you can place inside. Alternatively, you can put a piece of jewelry onto the hand of a removable figurine of a dancing ballerina that is also included with Mechanical Flower set. 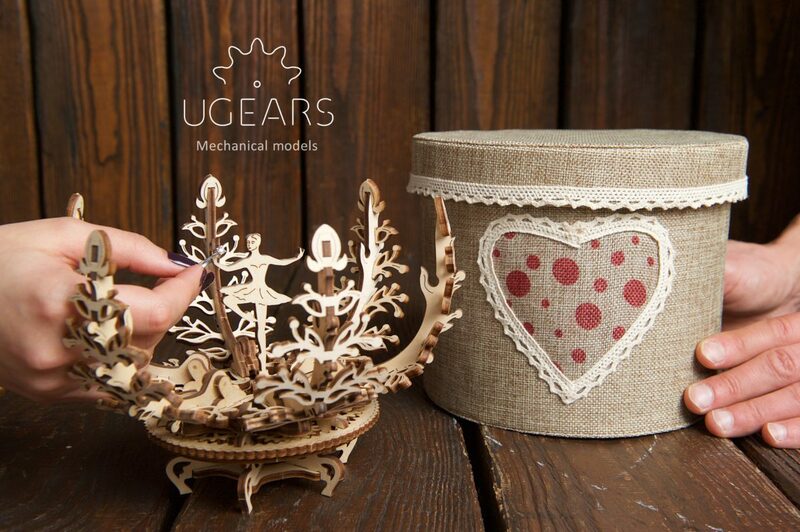 Another idea of presenting jewelry to the love of your life this Valentine’s Day is UGears Mechanical Treasure Box. This remarkable box features natural-wood made parts and an internal mechanism that provides for flawless opening and closing motion of the lid. The Box, with its exquisite wood carvings and exceptional design, is a great gift by itself, but place a piece of piece jewelry inside, and you’ll get a truly royal Valentine’s Day gift that will definitely be appreciated! A surprise gift for Him. To compliment a compact size gift for Him, UGears offers to use Mechanical Etui instead of a gift box. Intended as storage for small items such as bank and business cards, keys of cufflinks, the Etui is not simply a box. Designed with a small mechanism inside, the Etui features an eye-catching mechanical motion and can be a unique gift by itself. But, place a pair of his favorite team’s season tickets or a gift card and you have a unique and personable gift that he will definitely appreciate. 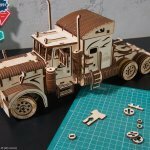 These are only a few ideas of how to use UGears 3-d mechanical puzzles to make Valentine’s Day gifts unique and special. 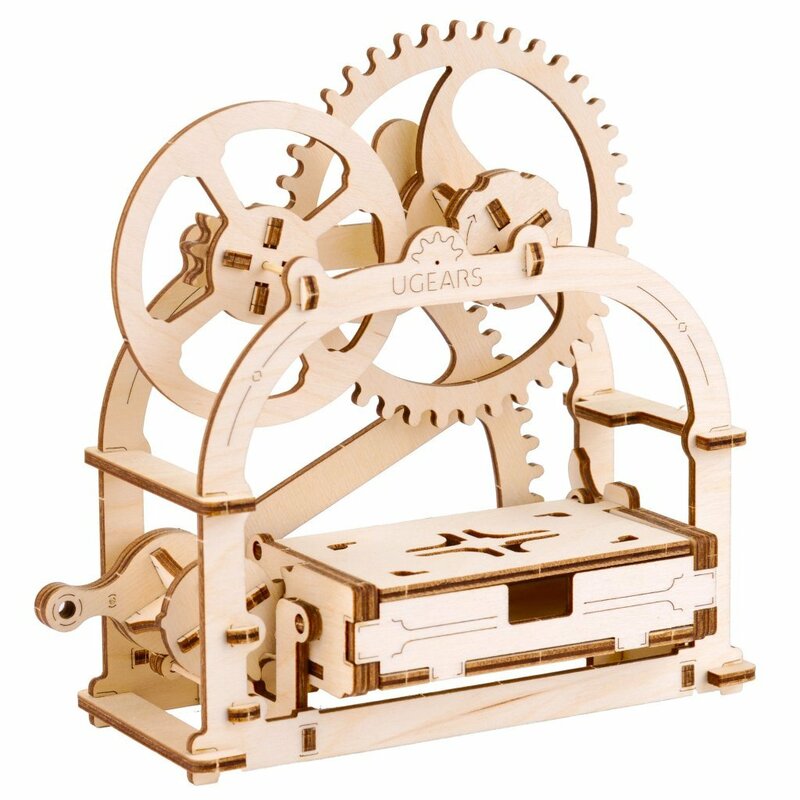 Check out our online catalog for more ideas and browse a large selection of other UGears sets and models.